As “American Horror Story: Coven” comes to a close, with only two episodes remaining, everyone’s speculating what the fourth season of Ryan Murphy’s game-changing series will be about. Since we’re far too impatient (and excited) to wait for Murphy to leak more clues, we’ve devised a list of our own speculations for what to expect in the next season. We may be totally wrong, but a lil guessing never hurt. Sound off your guesses (and any easter eggs you may have found in “Coven”) in the comments! Could “AHS” revisit aliens with the Roswell incident? With Murphy’s hint that the new season would be set (or shot) in New Mexico (or New Orleans), it's possible the season could involve the Roswell UFO crash, which took place in 1947. It seems an unlikely choice though, since after "Asylum," Murphy has said he was done with aliens. But some Reddit users still have their UFO theories. The establishment of the Stasi, or German secret police? The secret police of East Germany, known as the Stasi, were one of the most feared and hated institutions. Since the service was formed in February of 1950, this premise, while incredibly broad, would fit with both of Murphy's clues on the time frame and Lange's accent. 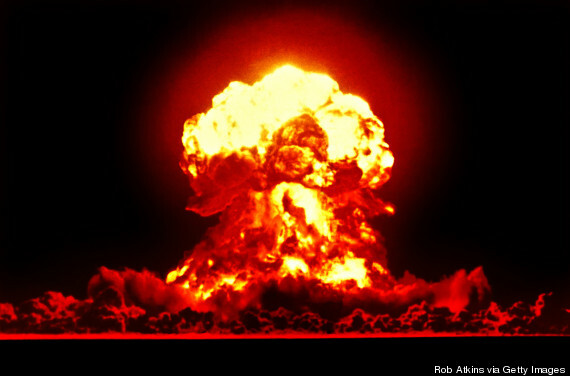 The creation of the hydrogen bomb? Since the Soviet Union conducted their first test of the hydrogen bomb in September 1949, and the U.S. began testing their own soon after, this could be a possible setup for the show. Yet, shouldn't Lange be working on a Russian accent if this were the case? Also, while the nuclear arms race was indeed a terrifying time in history, this doesn't seem a suitable fit for the show's stylized, shocking horror. From witch hunts to Communist hunts? One possible storyline for Season 4 could be the rise of McCarthyism during the Second Red Scare, which occurred from 1950 to 1956. Other than the date, there's not a whole lot that supports this theory just yet, except this one Reddit user's in-depth theory regarding a possible easter egg from episode 11. The Korean War? One of the main historical events of 1950 was the Korean War, however warface isn't exactly an appropriate (or enjoyable) topic for "AHS." Are we going to the circus? This is the rumor we all wish was real. 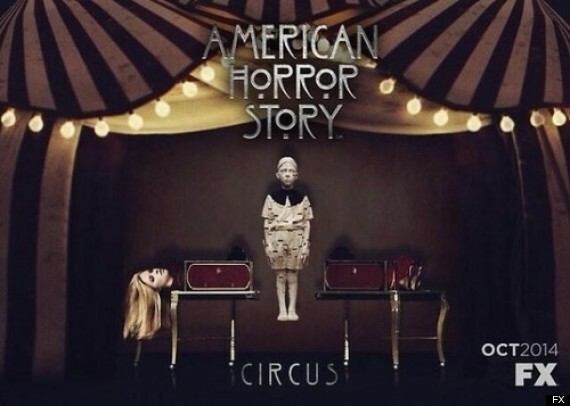 Last week, fan-made posters, and even a trailer -- and incredibly convincing ones at that -- surfaced on Tumblr advertising that Season 4 is set in a circus or carnival. This premise would give Murphy the perfect opportunity to cash in on a bizarre and freaky culture, especially one that has gone mostly untouched in pop culture for decades, since 1930s cult film "Freaks." Murphy already paid homage to the film with Pepper in "Asylum," so maybe he could expand on that? Someone please start a petition to make this happen. "American Horror Story: Scientology"? Another 1950s event was the introduction of L. Ron Hubbard's Dianetics, or concepts of the metaphysical relationship between the mind and body. The Scientology founder published his first article on the topic in May of 1950. While it would be freaky and kind of awesome for "AHS" to dive into the mysterious world of Scientology, it's probably too daring of a topic to tackle in the television, or film, industry. Keep your eyes peeled for more easter eggs to come in the remaining two "AHS" episodes. "American Horror Story: Coven" airs on FX on Wednesdays at 10:00 p.m. EST.